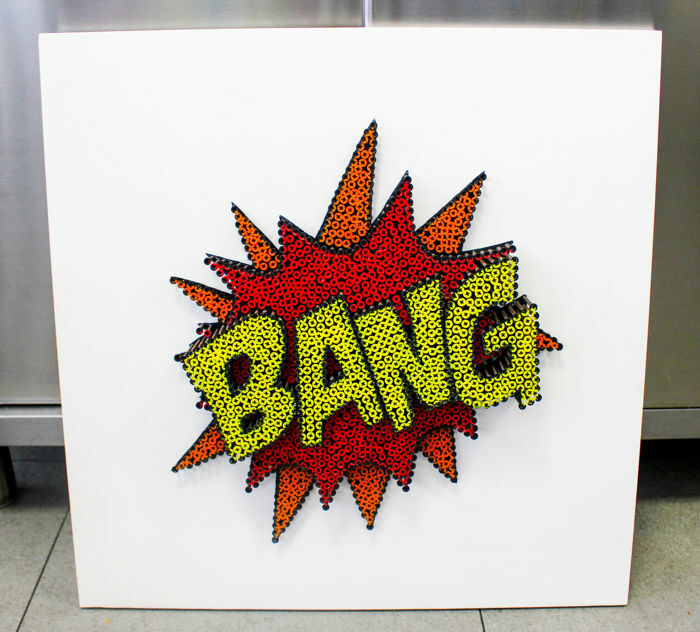 Alessandro Padovan is an Italian growing artist, an excellent investment. 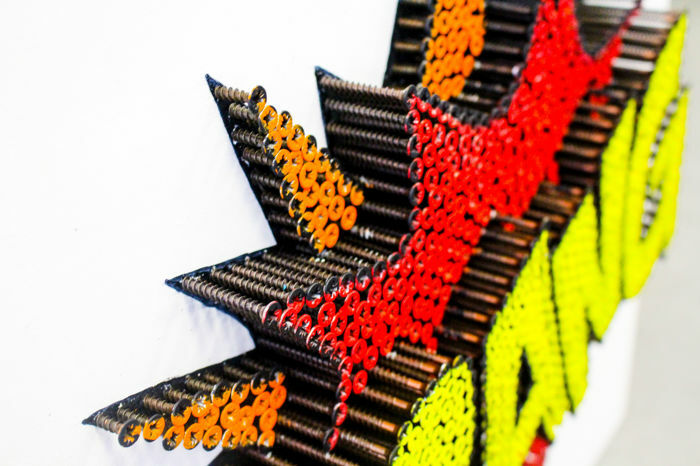 The only one in Italy who uses the Screw Art technique. 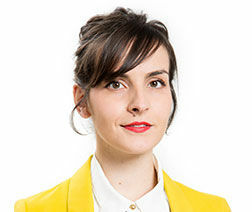 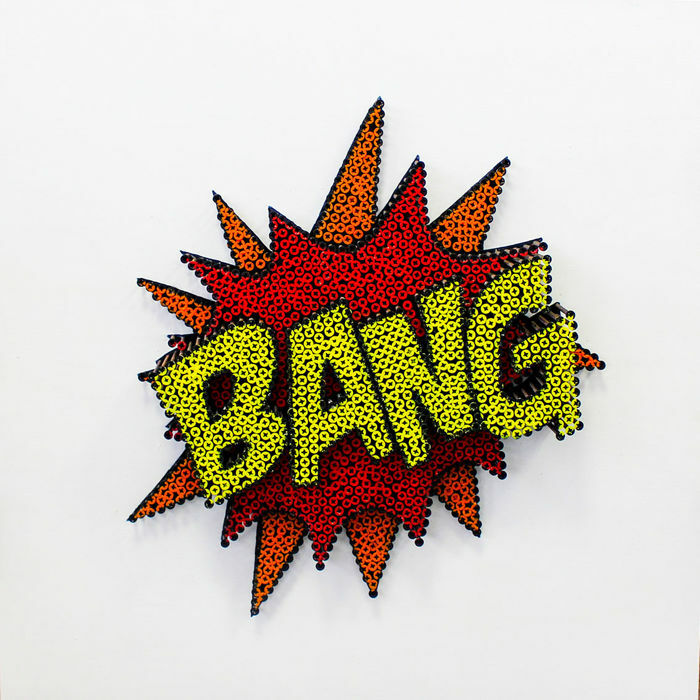 He is represented by galleries and auction houses in America, Dubai, London, Germany, Switzerland and Italy. 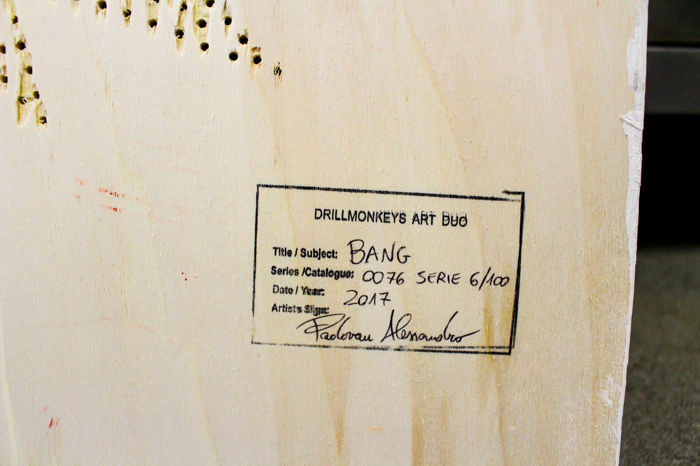 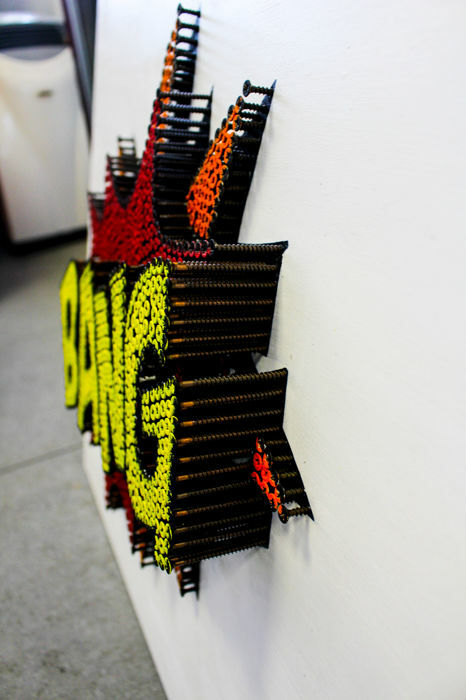 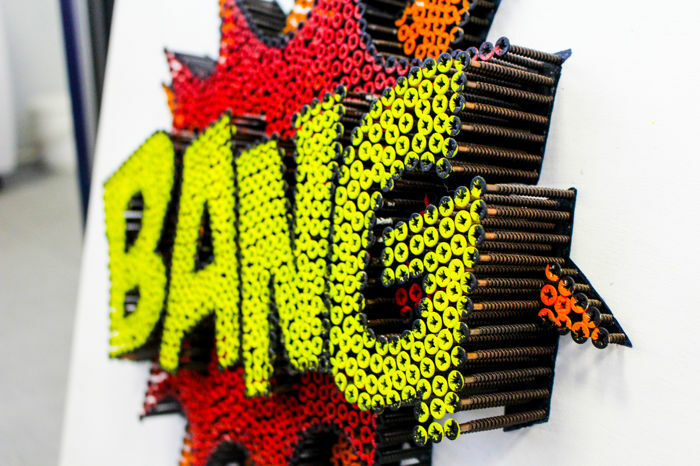 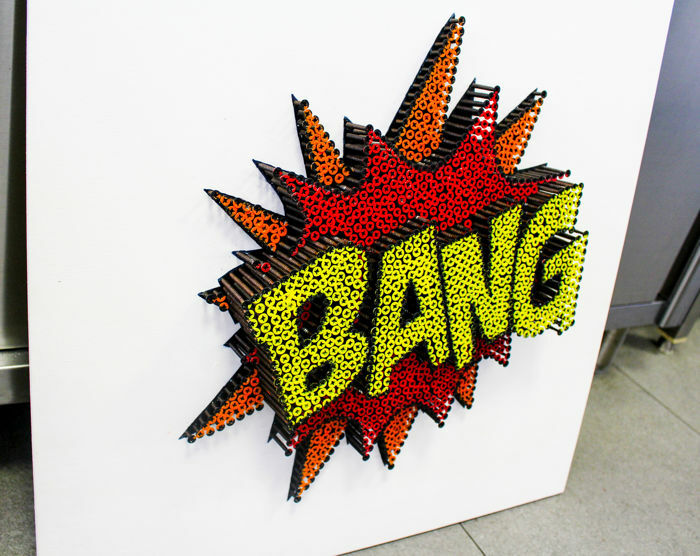 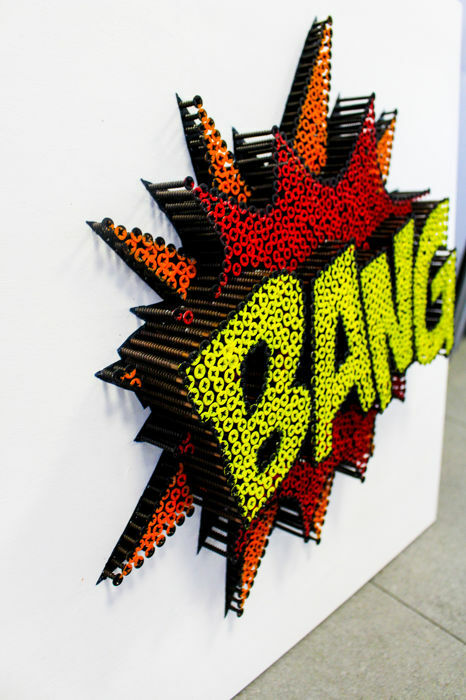 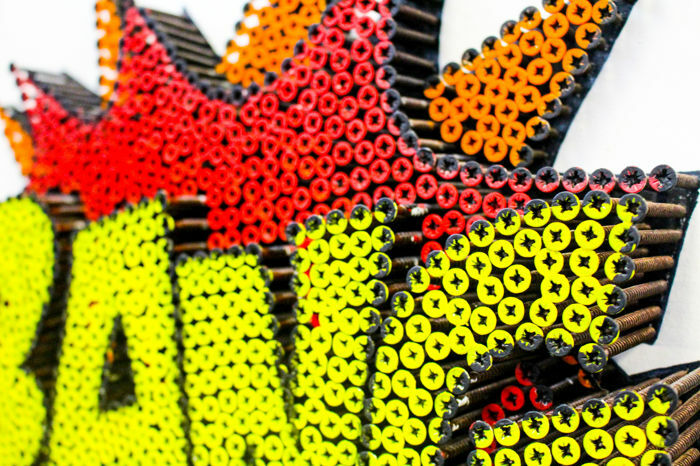 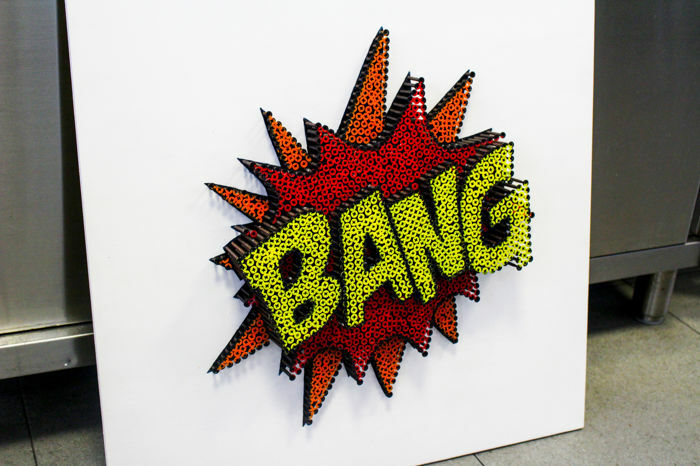 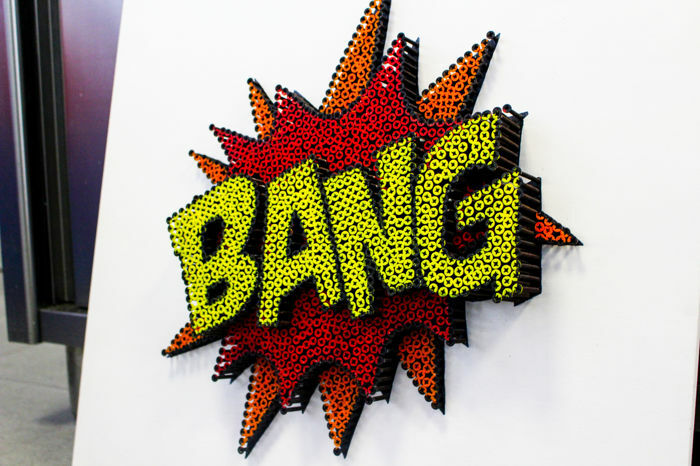 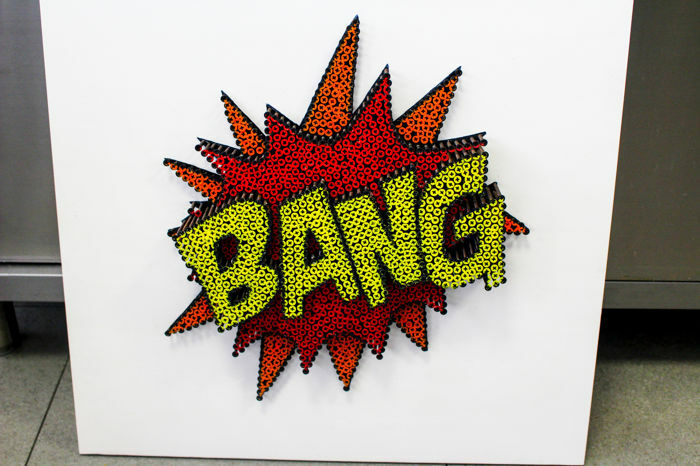 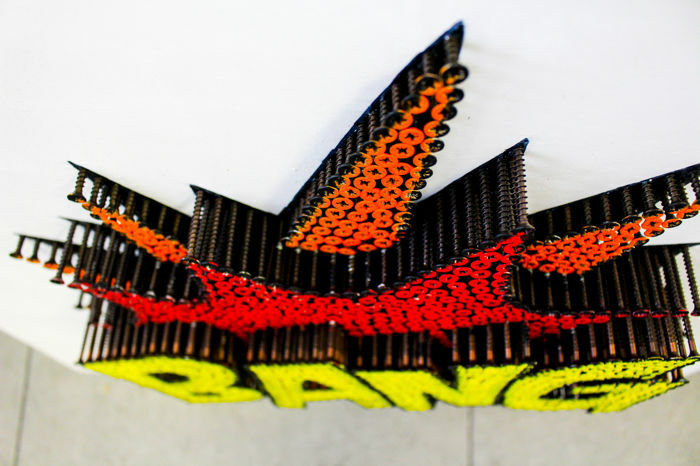 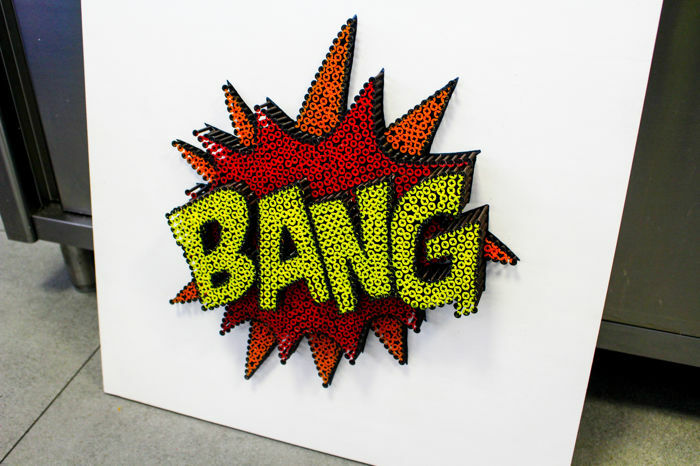 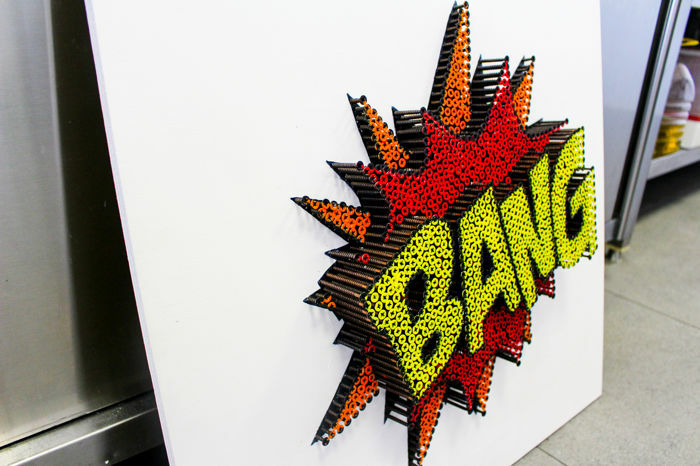 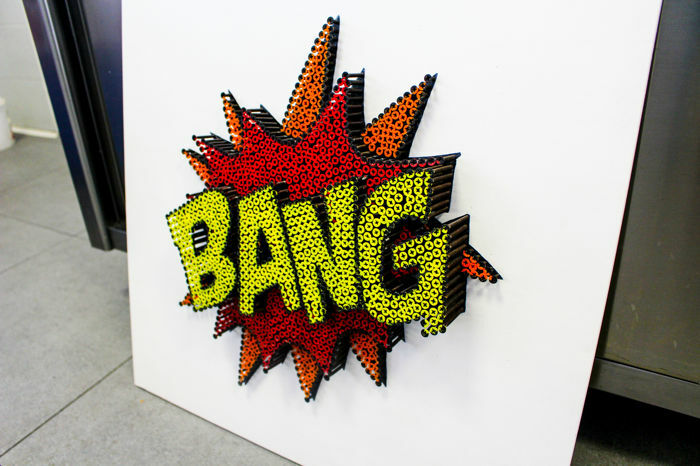 Work entitled “BANG”, made in 3D with 1,500 bronzed self-tapping screws. 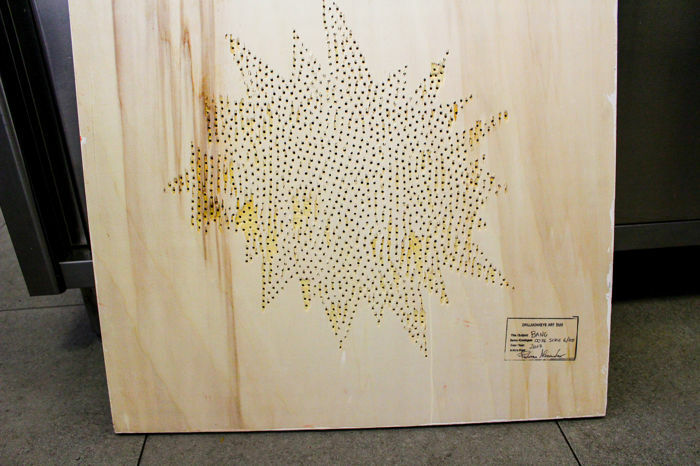 The numbering may be different from the one on photos.